Smith was rewarded after the general election with a plush city job by Catherine Pugh. 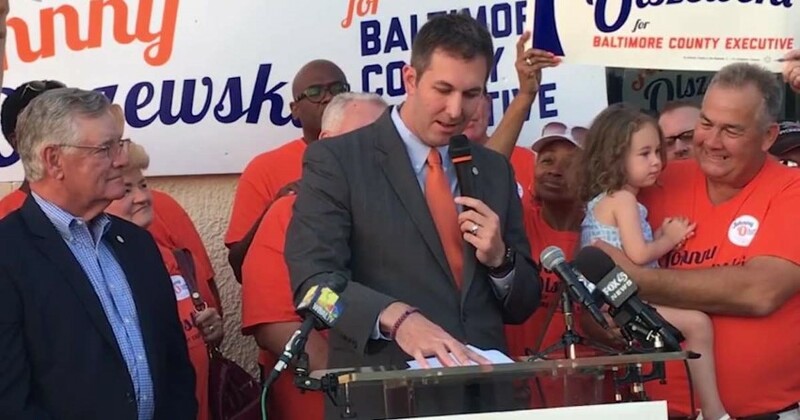 We are sure our readers may be wondering what this has to do with Johnny O and his bid to become the next Baltimore County Executive. Our response borrows from a famous idiom – Sins of the Father. In order for voters to use their best judgment at the polls, we need to revisit some of the issues regarding the relationship between Johnny O and his father, former Baltimore County Councilman John Olszewski, Sr.
Our featured photo for this article can offer an insight into the close-knit, good-old-boy world of politics, as can the following picture pertaining to the Yorkway Development. Specifically, the Yorkway photograph details what we believe is a “political dynasty,” since John Sr. is directly at the helm of Johnny O’s campaign. 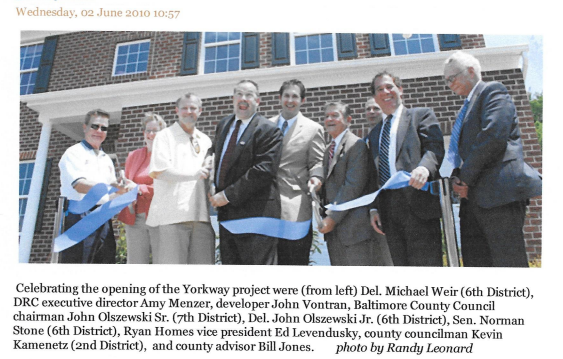 Why is then-Councilman Kevin Kamenetz, who represented the 2nd Councilmanic District, shown cutting a ribbon in Dundalk? The answer–Kamenetz cast a major vote in favor of the $20 million taxpayer-funded development. It should be noted that at a council work session on September 15, 2008, then council chairman. Kamenetz threatened to hold up the sale over the amount of taxpayer funds used to purchase the old Yorkway apartments. Shortly thereafter, on October 15, Kamenetz abruptly changed direction and voted for the development. We wonder just how many backroom deals led to that change of heart. 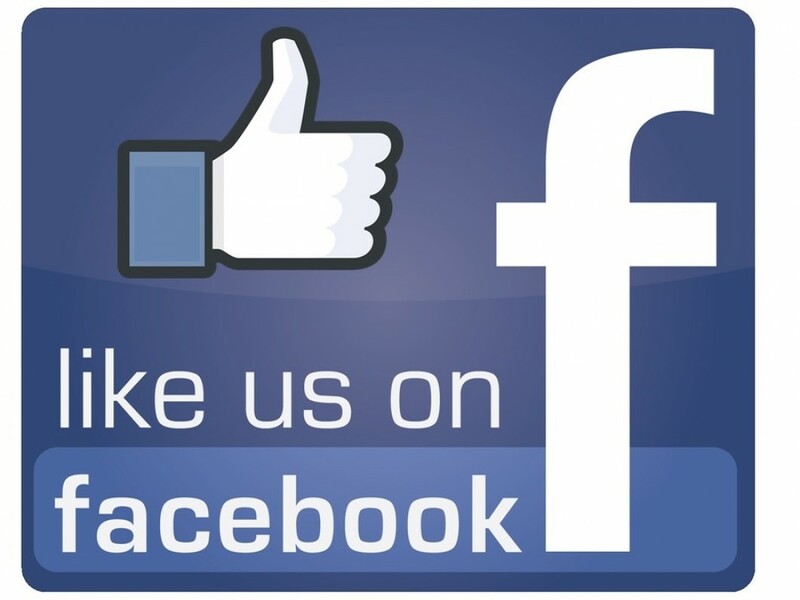 It should also be noted that on July 22, 2009, those companies–owned by John Vontran–contributed heavily to John Sr.’s campaign. Other campaign contributions were also funneled to the late Mr. Kamenetz. Additionally, a group of other council candidates known as the “developers slate” was put together by Jim Smith. These candidates were known to favor developers. The Post believes this information is pertinent in demonstrating the strong influence that John Sr. can, and probably does, have over his son during his quest to become the next chief executive officer of Baltimore County. 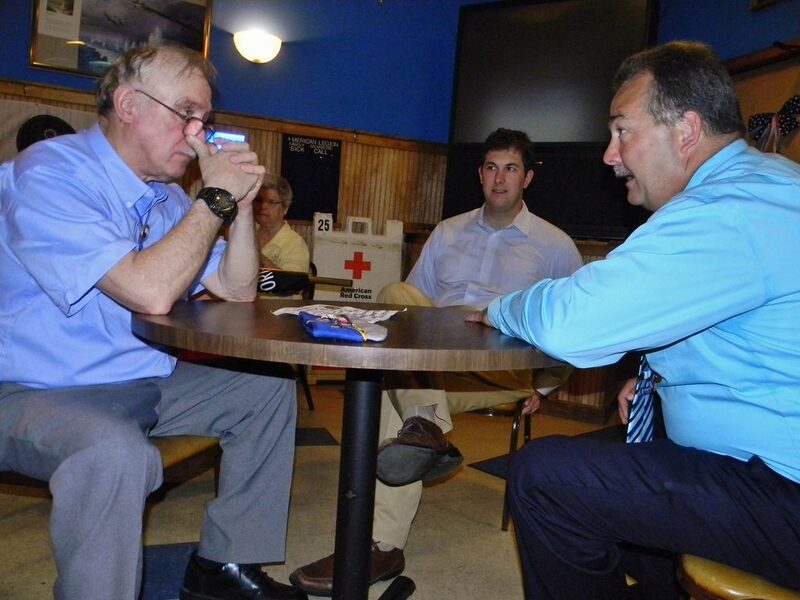 Again, pictures speak louder than words in revealing the strong ties between these politicians, and those ties may not be in the best interest of the county voters. Two weeks before the primary, the Victory Slate started mailing out tens of thousands of attack mailers accusing Brochin of being a liar, a hypocrite, not a “real Democrat” and beholden to the National Rifle Association. 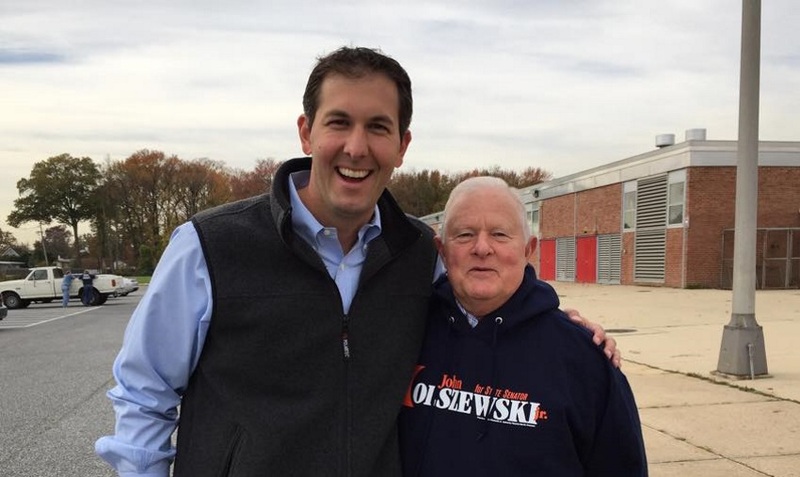 John “Johnny O” Olszewski Jr., the third candidate in the race, escaped the mudslinging and wound up beating Brochin by 17 votes (out of 84,601 cast). Some of our readers may start to see the game plan behind Jim Smith’s political machine. 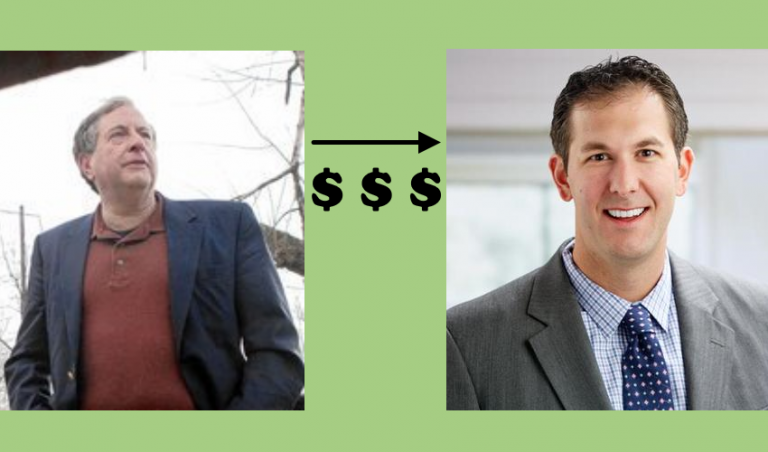 In essence, Smith ran developer-friendly candidates against Jim Brochin, who was noted for his stance against the “pay to play” political agenda of the current Democratic administration. When we refer to Johnny O as being developer friendly, we can back that up that claim with our revelations regarding those who prefer to be less than transparent about certain related matters of political importance to the voters. Folks, is this the kind of government you want for already troubled Baltimore County? Again, photos speak volumes about what may lie ahead.